Bay Area Classical Harmonies presents a night of Italian and French Early Music Concert featuring music by Claudio Monteverdi, Barbara Strozzi, Jean-Baptiste Lully, Giovanni Pittoni, and others. Please join Soprano Katherine Hobbs, Tenor Alexander Frank, Bass Andrew Chung accompanied by Adrian Murillo on Lute and Theorbo, and Eugene Petrushansky on Harpsichord and Organ. 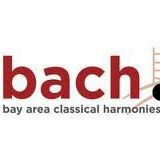 BACH is thrilled to host an event at the Saint Joseph of Arimathea Church in Berkeley, CA which is its founding performance venue in 1998. 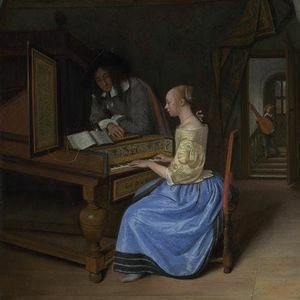 The program highlight includes "Lagrime Mie" by Barbara Strozzi (1619-1677) an influential female composer in the baroque era, movements from Claudio Monteverdi's Madrigal Book VII, Jean-Baptiste Lully's Motet, "Omnes Gentes Plaudite Manibus".